At the stroke of 11 am on Wednesday, BS Yeddyurappa followed his two sons — Raghavendra and Vijayendra and son-in-law Sohan Kumar into court hall number 4 at the CBI special court in Bengaluru. If he was anxious, the former chief minister showed it. The memory of having suffered the ignominy of being sent to prison in a corruption case involving denotification of land in Bengaluru in 2011 and spending 23 days behind bars, wouldn't have been off his mind. Just a few minutes later, Judge Dharma Gowda gave Yeddyurappa a political lifeline. 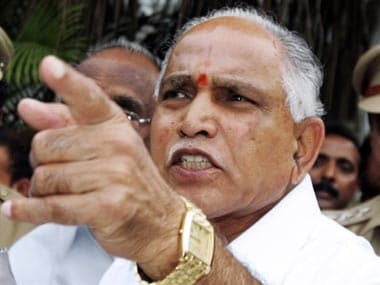 Ruling that the court found nothing to convict all the 13 accused, it acquitted Yeddyurappa of all charges levelled against him in the Rs 40 crore bribery case. The firecrackers that BJP activists burst immediately after was an indication of the sense of relief that the Damocles sword was no longer hanging over Yeddyurappa's head. The allegations of corruption in the mining case and the land denotification case where in it was alleged that Yeddyurappa had received kickbacks had virtually derailed his political career. He was forced to quit three years into his stint as chief minister in 2011. The Lokayukta report that damned him and his subsequent arrest in October 2011 gave ammunition to his detractors within the BJP to brand him as a political liability and push him to a corner where the temperamental leader chose to quit than to put up with humiliation. 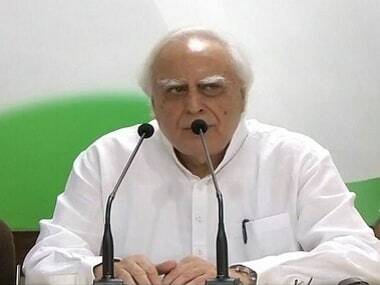 His Karnataka Janata Paksha did not set the Cauvery on fire but he ensured that by taking away a significant chunk of the Lingayat vote, the BJP too was reduced to a paltry 40 seats in the Karnataka assembly elections in 2013. 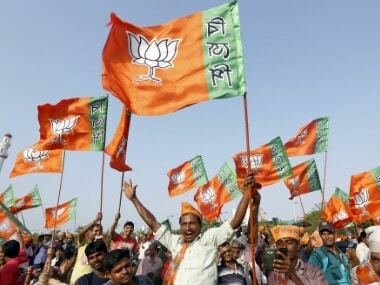 Realisation soon dawned on the BJP that a divided house will do no good to the party in the gateway state to the south. Yeddyurappa was brought back and he won the Lok Sabha election from Shimoga. In April this year, BSY was made BJP president of the Karnataka unit, settling the leadership question within the faction-ridden party in the state. When Yeddyurappa said soon after the verdict that "politically this is very important for me'' he could not have been more honest about what the verdict meant to him. With the judicial Surf Excel washing the stain of corruption off him, the barbs of political opponents like chief minister Siddaramaiah that "I don't have to be advised by someone who has gone to jail'' won't stick any more. The verdict puts a question mark over the ruling of the earlier judge who without going through trial, sent BSY into judicial custody. Even more, it raises serious doubts over Justice Santosh Hegde's report as Karnataka Lokayukta as it was he who first pointed the needle of suspicion at Yeddyurappa, forcing him to quit. LK Advani too played a crucial role in ensuring Yeddyurappa was shown the door. After Wednesday's verdict, Advani too will have to ponder over whether injustice was done to BSY. Within the party, Yeddyurappa's position gets strengthened as all other leaders — from Ananth Kumar to Sadananda Gowda to Jagdish Shettar to Eshwarappa — will have to rally around him, whether they like it or not. The BJP central leadership too can pat itself on the back because if the court had convicted Yeddyurappa, Amit Shah would have landed with egg on his face. Now the BJP national president can gloat over having backed the right man. Sources in the Yeddyurappa camp also say that the 75 years rule for BJP ministers and CMs will be relaxed for him. The BJP chief will be 75 in February 2018, three months before Karnataka goes to polls. But the understanding is that he will still be projected as CM candidate and should he go on to lead the BJP to victory, be sworn in as CM as well. 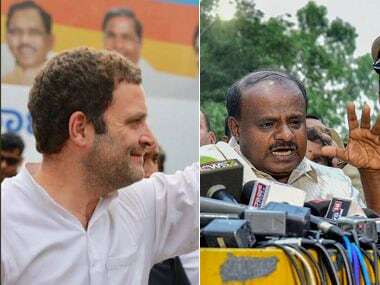 The plan is to let him rule till the 2019 Lok Sabha elections, push all the right governance buttons to reap a rich harvest of 23 to 25 seats for the BJP in Karnataka and then nominate a leader of his choice as his successor. But the opposition is not planning to let Yeddyurappa and the BJP go to town, trumpeting the court verdict. The Congress has already alleged that central influence ensured that the CBI case against BSY was not watertight, enabling him to get away. The Aam Aadmi Party has expressed surprise that what seemed like an open and shut case against BSY has been judged this way. It claims that despite the judgement, it would believe Justice Hegde's opinion on Yeddyurappa. What Yeddyurappa brings to the table is the Lingayat vote, 17 percent of Karnataka's population. This added with anti-incumbency sentiment against the Siddaramaiah regime and middle class vote, the BJP believes, puts it firmly ahead in the race for Vidhana Soudha 19 months from now. Yeddyurappa thinks that after the court verdict, he will also win the people's court verdict. 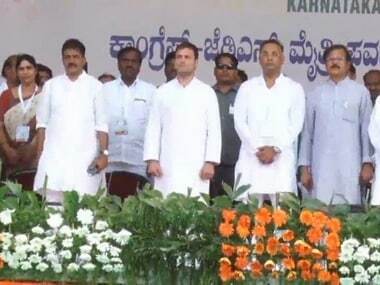 It is game on in Karnataka's political theatre.